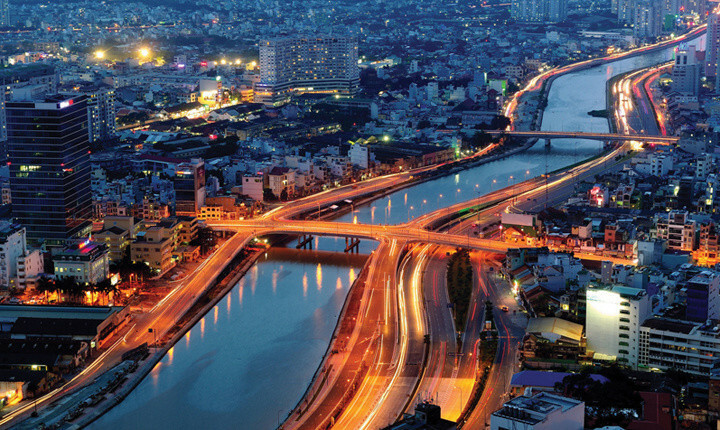 the capital city of Vietnam and one of the most beautiful cities in all of Asia. Hanoi is full of history; a maze of winding, narrow, wooded lanes full of shops, taverns, bicycles, cyclos and motorbikes. 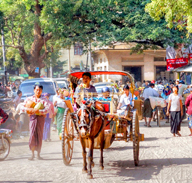 The city centre is an architectural museum piece, its blocks of ochre buildings retaining the air of a peaceful and austere provincial town, contrary to the fast-living and bustling air of Saigon. The city of Hanoi is a small part of now Greater Han oi, which has a lang area of 2,139 sq.km and a population of about 3,000,000. In the past, Hanoi was first chosen by Kind Ly Thai To as the capital of country and was named Thang Long (Ascending Dragon) in 1010. Through several successive dynasties, it remained as the country’s capital city, the heart and soul of the whole nation, and has borne a variety of names, including Dong Kinh (Eastern capital), from which the Europeans derived the name they eventually applied to all of northern Vietnam, Tonkin. The city was finally named Hanoi (the city in a bend of the river) by Emperor Ming Mang (Nguyen Dynasty) in 1831. From 1902 to 19-53, Hanoi served as the capital of French Indochina. This UNESCO World Heritage Site is considered by many to be one of the Natural Wonders of the World, and for good reason. Over 2,000 magnificent limestone karsts rise from the clear, emerald waters of the Gulf of Tonkin, making for a truly picturesque scene. The limestone basin reveals stalactite caves, crescent beaches and odd-shaped formations. It is also famous for its varied ecological system housing thousands of fish species, along with hundreds of coral and other sea creatures. 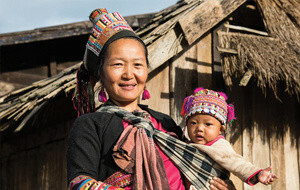 Located 1,500 metres above sea level in Vietnam’s remote northwest mountains, Sapa is famous for its rugged scenery, luscious rice fields and rich cultural diversity. 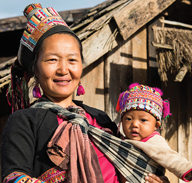 Close to China, this picturesque town is home to many ethnic minority hill tribes, who can be seen around the town in their colourful, traditional costumes. Situated directly on the atmospheric Perfume River, Hue is without doubt one of Vietnam’s most historic cities. 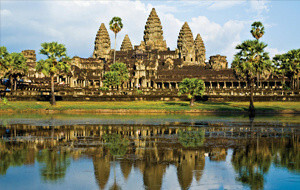 This former Royal Capital is full of temples, pagodas, palaces, tombs and culture. Hue was Vietnam’s feudal capital from 1802 to 1945 under the Nguyen Dynasty. It is widely known that for the magnificent architecture of its citadels, palaces, royal tombs, pagodas and temples set in a poetic background of greenery on the banks of the Perfume River. All were laid out in harmony with nature and in accordance with the principles of geomancy (feng shui). Besides monuments, Hue still retains much its past glory in daily routines adn activities in religion, gastronomy, handicraft, music, the performing arts and traditional festivals. Hue became Vietnam’s first World Cultural Heritage site recognised by UNESCO in 1993. Vietnam’s third largest city, and largest major port city, Danang is an ideal base to explore the nearby Old Town of Hoi An, or historic former royal capital of Hue. Located directly on the coast, Danang boasts some of Vietnam’s most beautiful beaches and beach-side hotel resorts. 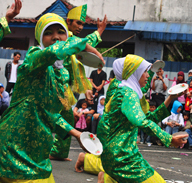 The city’s origin dates back to the ancient Champa Kingdom, established by Indonesian settlers in 192AD. At its peak, the Cham’s sphere of influence stretched from Hue to Vung Tau. 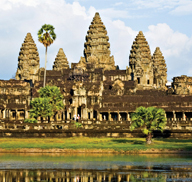 With the expansion of the Chinese, Vietnamese and Khmer, the ultimate fall of the Cham occurred by mid-15th century. By the 19th century, Danang had superseded Hoi An as the most important sea port in the central region. 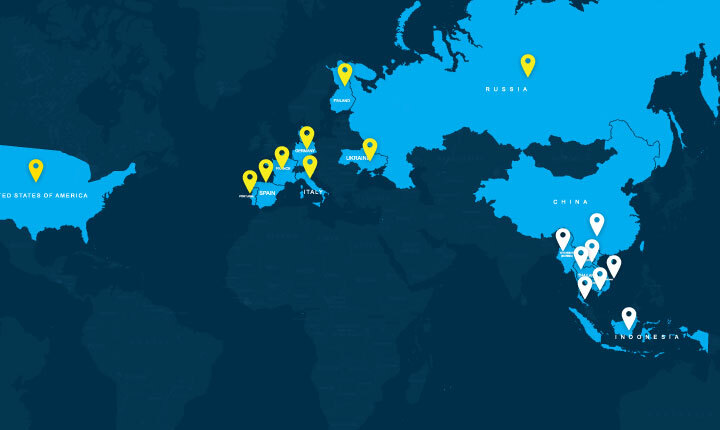 The presence of the French in the 19th and early 20th centuries and the Americans in the 1960s, has lead to the continued growth of Danang, making it one of Vietnam’s largest cities. This quaint riverside town was once the principal port of the Cham Kingdom. Beautiful, steeped in history and culture, this UNESCO World Heritage Town is very popular with visitors to Vietnam, and for good reason. Just 30km south of Danang, Hoi An was one of the major trading centres of southeast Asia in the 16th century. Hoi An has retained a distinct Chinese atmosphere with low, tile-roofed houses and narrow streets. The original structure of some of these streets remains intact. 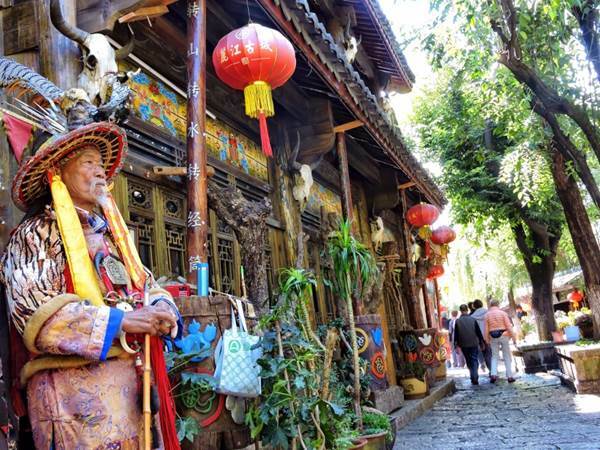 All the houses were made of rare wood, decorated with lacquered boards and panels engraved with Chinese characters; pillars were also carved with ornamental designs. Tourists can visit the relics of the Sa Huynh and Cham cultures and enjoy sunset strolls along the romantic Hoi An River, Cua Dai Beach and Cham Island. Beautiful white sandy beaches and clear blue waters make Nha Trang Vietnam’s beach and scuba diving capital. 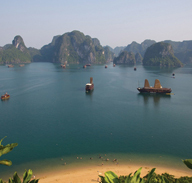 Fresh seafood and gentle sea breezes have endeared the city to many Indochina travellers. You can spend time on the waters of the South China Sea by touring on a boat visiting island fishing villages. Whether eating on board or in villas that once belonged to emperor Bao Dai, do not miss the local seafood! Nha Trang’s charms lie in its seaside surroundings, but you might like to take a bicycle ride along the beachfront boulevard to the city’s market and onto the ancient Cham towers of Po Nagar with views extending out to the colourful fishing fleet in the sea. A vibrant night scene with a diverse range or bars and restaurants mean this town has something to suit all tastes. Often overlooked by travellers, Mui Ne is a charming beach town and a paradise for kite surfers! Centred along one main road are a vast array of international and local seafood restaurants, bars and beach clubs. Phan Thiet is located 200km from Saigon along Vietnam’s southeastern coast; it is home to one of the best stretches of beach in the country. Phan Thiet is the classic example of a resort which has retained its fishing village culture. A collection of excellent resorts have opened up along the coast on the Mui Ne Peninsula. Well space and sensitively constructed, these resorts offer everything that a visitor could want from a beach destination. Golfers will enjoy Ocean Dunes, a classic links course in a stunning setting. 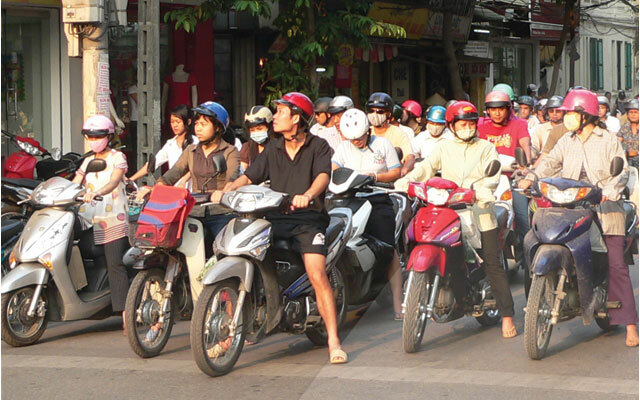 Vietnam’s largest and most up-and-coming city, buzzing with activity 24 hours per day! French colonial buildings and historic landmarks and museums are highlights of this rapidly developing city. The city is crammed full of restaurants and bars ranging from simple pavement stalls where you can buy a bowl of noodles for a few cents to sophisticated restaurants serving fine European cuisine at a fraction of the price you would pay in Europe. 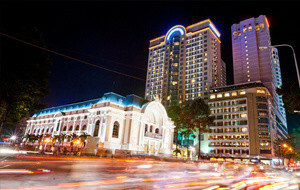 Ho Chi Minh’s nightlife has become very cosmopolitan in recent years and there are literally hundreds of bars, pubs, nightclubs and discotheques to pick from for a night on the town. It is also a real shopper’s paradise with modern shopping centres and trendy boutiques rubbing shoulders with traditional street markets. Located in the south central highlands of Vietnam, Dalat is a slice of Europe in the Central Highlands of Vietnam. Itwas originally the playground of the French who built villas in the clear mountain air to escape the heat and humidity of the coast and of Saigon. Dalat is still popular with locals and tourists alike for this reason, as well as the town’s attractive landscape of colonial villas, gardens, lakes and rolling hills. Dalat’s colourful market features locally-made specialities such as artichoke tea, candied fruits, coffee and the finest cool climate vegetables and flowers in Vietnam. Visit the former summer residence of Vietnam’s last emperor, Bao Dai, and meet Dalat’s famous artist monk Vien Thuc in his studio lined with thousands of his quirky compostitions. The brilliantly coloured silk weavings of the K’hor tribes people are a popular purchase, as are finely detailed silk embroideries. Floating villages, green fields and sleepy villages make up this region. Though the pace of life here is laidback, the region is full of life with luscious rice paddies and fish farms being cultivated by the river, as well as sugar cane, fruit, coconut and shrimp. It is one of Asia’s most picquresque regions that offers travellers the opportunity to experience rural Vietnam and a way of life little changed over centuries. 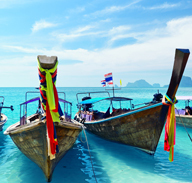 Travel by sampan along narrow cancels to tropical fruit orchards and bonsai gardens; sample freshly-picked fruits and the local delicacy, friend elephant-ear fish; and navigate through the waterborne bustle of the area’s famed floating markets. Can Tho is located on the lower section of the Mekong River. In recent years, a serious of modern tourism gardens of interest have appeared one very land and water route in the city. Chau Doc is just a scenic little town on the way. Here again you ply the river to explore life on the waters, visit floating fish farms and villages of the Cham people, before watching the sunset from Sam Mountain over the vast rice fields stretching over the border and on into Cambodia. Another attraction to see while you are in the Mekong Delta are the Floating Markets of Cai Rang and Cai Be, being the biggest in the Mekong Delta. The shops and stalls at these markets are boats of different sizes. Usually Floating Markets are open all day but it is busiest from sunrise to about 9am. The many items sold there are farm products and local specialities. Surely the most beautiful island in Vietnam, Phu Quoc is surrounded by picture-perfect white sand beaches and with dense, impenetrable jungle in the centre. Long Beach is refined, Ong Lan Beach romantic, and Bai Sao simply irresistible. It takes about 40 minutes by plane from Saigon to reach the main island that has a length of 50km, with sloping geography running from the south to the north. With 37,000 hectares of primeval forest, it is home to assorted rare plants and birds. Phu Quoc is called the “pearl island” because high quality, large pearls are harvested here by locals. You can enjoy both sun and steam baths, then climb to caves or take tours to forests where you can enjoy the nature and wildlife. The most famous local speciality dish is Phu Quoc shrimp sauce, with a unique aroma and high protein content made from white herring. A short journey south of Hanoi brings you to the “Dry Halong Bay” known for its limestone hills and meandering river that takes you through three caves before unveiling a secluded valley. Your boatsmen are locals who often employ their feet for rowing. As you make your way through the waterway on a sampan, keen an eye out for plunging Kingfishers or nimble-footed mountain goats silhouetted against the skyline and rough stone. Here, the river merges seamlessly into rich green rice fields, and farmer’s dwellings can be seen, clinging to the cliffs tending to its rocky outcrops. Hai Phong is a large port and the Chinese, Japanese, French, Spanish and Portuguese have been here to trade for centuries. Nowadays, it’s still a commercial centre with an industrial city and an important transportation hub. Moreover, visitors can enjoy beautiful landscapes as well as interesting festivals celebrated on Cat Ba Island and Do Son Beach. The Hai Van Pass means, in Vietnamese, “the pass of ocean clouds.” It is located on Highway 1 between Danang and Hue, revealing a stretch of scenery where mountains appear to fall into the sea. The costal drive rivals the views found in Turkey and California. In the past, the Hai Van Pass has been the site of a historic seesaw struggle between several nations in the region including the kingdoms of Champa, Vietnam and Laos. Located 69km southwest of Danang, My Son was an imperial city during the Cham Dynasty between the 4th and 12th centuries. My Son Sanctuary is a large complex of religious relics that comprises more than 70 architectural works, including temples and towers that connect to each other with complicated red brick designs. The main component of the Cham architectural design in the tower, built to reflect the divinity of the king. Vung Tau province is popular for its beaches and, just 1.5 hours by hydrofoil, it is a quick getaway from Saigon. The Vina and Petro Express hydrofoils depart and return to the city every couple of hours. When you arrive, visit Back Beach for nightlife and Mulberry beach for those in search of less Karaoke. Other attractions are large and small mountain circuits, the lighthouse and giant Jesus statue. Golfers can spend time enjoying an international standard 27-hole golf course open to non-members, except on Saturdays and Sundays.